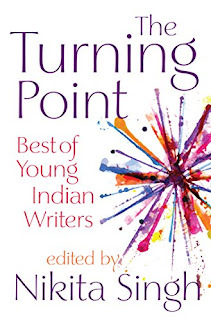 The Turning Point features stories by some of the best young Indian writers, each contributing a distinct tang to this interesting cocktail. The collection explores multiple emotions, ranging from nostalgia to obsession, the feeling of first love to that of delusion, from doubt to self-belief and from resignation to hope. Eight stories, eight spirited young writers-and a must-read book that doesn't just make you smile and think at the same time, but also brings you closer to the joy of reading and the craft of writing. Stories by: Meenakshi Reddy Madhavan Durjoy Datta Judy Balan Harsh Snehanshu Shoma Narayanan Parinda Joshi Atulya Mahajan Nikita Singh.